Workshops are normally non-residential courses where participants gather during suitable hours of the day to practice with a teacher. The exact program is published in advance, and allows the yogin to continue with his job or normal routine, while profiting from visiting instructors. Retreats are by nature more intensive than workshops, as they entail a live-in situation with appropriate food and environment, and no or little outside interference. The program is kept to some extent open, to be tailored to the needs of the group and the flow of the day. In such environment, yogins practice with more concentration, achieve deeper levels, and share more freely. Emil teaches a variation of Hatha-Yoga, an Âsana practice which combines classic postures with breath work, flows from one to the next posture and intensifies the connection to the subtle body with movement of awareness (Kriyâ-Yoga). Some of the critical postures towards the end of the practice are held for a good length of time. None of the methods are original or unique - they are found in yoga scriptures and in Indian Âshrama traditions as means of rejuvenation and as preparation for Prânâyâma and meditation. Hatha Âsana practice in any style (be it Ashtânga Vinyâsa, Iyengar, Hatha-Kundalini, etc) may seem rather difficult. While that is somewhat true - hatha, among other meanings, denotes also the sense of ‘forceful’ - in a class of Emil’s, all levels of accomplishment are welcome. Postures are usually addressed to practitioners with an average of 3-4 years of physical practice, while a variation of the posture is shown for the beginning student, as well as the more advanced yogin. But at all times, the aim in our workshops is not to perform Âsanas for the sake of Âsanas, but to treat them as an integral part in a set of steps leading to the goal of yoga – stillness in meditation (Dhyâna) and freedom, or deliverance (Moksha). With this approach, the body postures become uninhibited by set routines, free from dogma or obligation – entirely fun, despite the high level of intensity in Hatha-Yoga. As a Yoga instructor, I endeavor to assist the practitioner towards a point of concentration, where the mind becomes still, all its energy bundled, and very powerful. This is the stage where true meditation can unfold, and where the teacher is no more necessary. Mudrâ A set of basic Mudrâs (here meant ‘symbolic hand gestures’) is taught and practiced at all levels; entire Mudrâ sequences, expressing (as the scripture Siddhasiddhântapaddhati says) the bliss of union of individual and universal soul are more time-consuming and performed in retreats and teacher training courses. In Hatha-Yoga, the word Mudrâ means ‘psychic seal’. Mudrâs represent powerful states midway between Âsana and Prânâyâma. In this meaning some important ones are Bandhas, and Viparîta Karanî, Agochârî, Shâmbhavî, Nabho, Khechârî, Shânti, Mahâ and Mahâ Vedha Mudrâs. They are introduced selectively in shorter courses, and more comprehensively during the longer retreats and teacher trainings. Bandhas Here meaning ‘locks’. They are an integral part of all Hatha Yoga, and in the scriptures are usually included in the chapters describing Mudrâs. Locks like Mûla, Uddîyâna and Jâlandhara Bandha are introduced at ground level courses, and deepened during longer retreats and workshops. Mantras Mantras are extremely powerful instruments in the hands of the yogin. 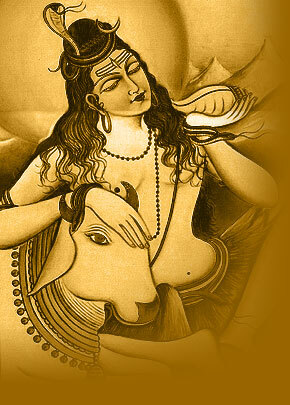 A representation of vedic or upanishadic mantras are taught at all levels. 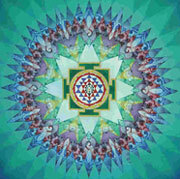 The life-long personal Mantra and in particular the Mantras of the tantric lineage are imparted only by the Mantra-Guru. While Emil is clearly not a Mantra-Guru, in his workshops we are introduced to the background of such Mantras, and practice as the situation in the environment of the individual and the class allows. Kriyâ-Yoga Kriyâ is a word which will appear in many different meanings to the interested Yoga practitioner. Its translation is ‘activity, action’, and of course there is plenty of action in the yogic disciplines. Kriyâ-Yoga as understood in our case is ‘movement of awareness’ – it is a highly effective tool, paradoxically, to still the mind. 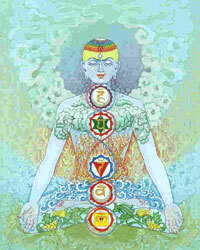 A Kriyâ-Yoga practice entails knowledge of the workings of the nervous system and of internal vortexes or Chakras, and expresses through a combination of certain Âsanas, breathing techniques, Mudrâs and Bandhas. 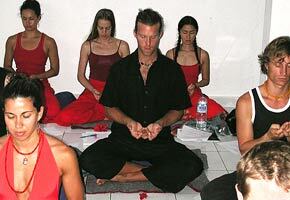 They are highly effective and valuable to meditators and as such taught at all the levels. Emil follows the Kundalinî-Kriyâ techniques taught by Satyananda Saraswati, founder of the Bihar School of Yoga. Visualizations is an important aspect of Dhâranâ (concentration, the sixth step in the eightfold path of Patanjali’s Yoga Sûtra). 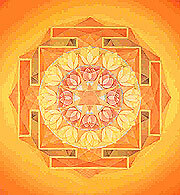 Visualizations is divided into Saguna (concentration on a form) and Nirguna (form-, or attributeless) visualizations. The latter is a highly advanced yogic practice. During the daily dawn meditation, which is a guided meditation for the first part, Emil leads the practitioner towards a point of concentration, where the mind becomes still, all its energy bundled, and very powerful. This is the stage mentioned at the beginning, where true meditation can unfold, and where the teacher is no more necessary. True meditation is awareness in total stillness - the result of long practice in the preceding disciplines of Râja-Yoga: Âsana, Prânâyâma, Pratyâhâra and Dhâranâ. As such it cannot be taught. Yoga instructors can facilitate this process by teaching the appropriate techniques leading to stillness, and provide a genuine understanding of the process. The aim of all yoga is freedom or deliverance, gained from such meditation in stillness. 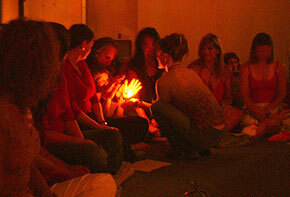 Ritual practice is ancient and forms part of a deep connection of the human being with the divine. In India, rituals are either a public seasonal event, or are an expression of a personal yearning to connect to this divine. In all of Emil’s courses, the main festivals of India are explained and celebrated when they fall - particularly those that make sense in the yogic context: Mahashivaratri, Gurupurnima, Krishnashtami, Durgapuja during Navaratri, and Laxmipuja during Deepawali, as well as Buddha Jayanti. Although they do address a deep inner connection, they are also very colourful and fun to play out! Less common perhaps outside India, the practice for a personal ritual is described and expressed at some dedicated workshops. These include Ârati (light) ceremonies, daily Pûjâ of the Îshtadevata, and the Prâna Pratishtha Ritual – the Ritual of Establishing the Divine, so central to the understanding of the Indian way of worship. An introduction to Sanskrit vocabulary is part of teacher trainings where philosophy covers more than 32 hours. It can also be offered upon special request. A broad knowledge of Sanskrit takes many years of dedicated study. In a workshop environment we are bound to focus on the subjects which interest us most as Yogis – those that are central to the understanding of our practice. A modest introduction covers the meaning, pronunciation and roots of the main yogic vocabulary, including those of immediate importance for Yoga teachers– the names of the Âsanas and Prânâyâmas, but also of the Yamas and Niyamas and the yogic expressions employed in the class situation. It also includes the opening recitations in Poona and Mysore, and covers the accurate usage of selected Mantras. For dedicated students with time at hand we can give a training to learn the Devanâgarî alphabet, and some basic grammar. Only one type of person was ever kept in deeper reverence than even the Rishi (seers to whom the scriptures were revealed): The Munis. The Munis were sages keeping silence and looking within oneself throughout most, or even all, of their lifes. And there were many in ancient times, and still today we hear of Yogis who never talk. It is the supreme path to know ourselves – however, there is only few modern-day Yogis who can afford such a radical path. What we can try is at least to do away with unnecessary talk when we are practicing or retreating. We all have experienced in Yoga classes, as the adrenalin shoots in, that there is a tendency to chatter - actually, there is a tendency to chatter at almost any occasion of the day. In all our retreats, there is Mouna (silence) until brunch time. Selected days are entirely without talking. While it sounds harsh at the beginning, Mouna is such an empowering experience – many retreat participants have expressed a wish to stay silent for longer each time.